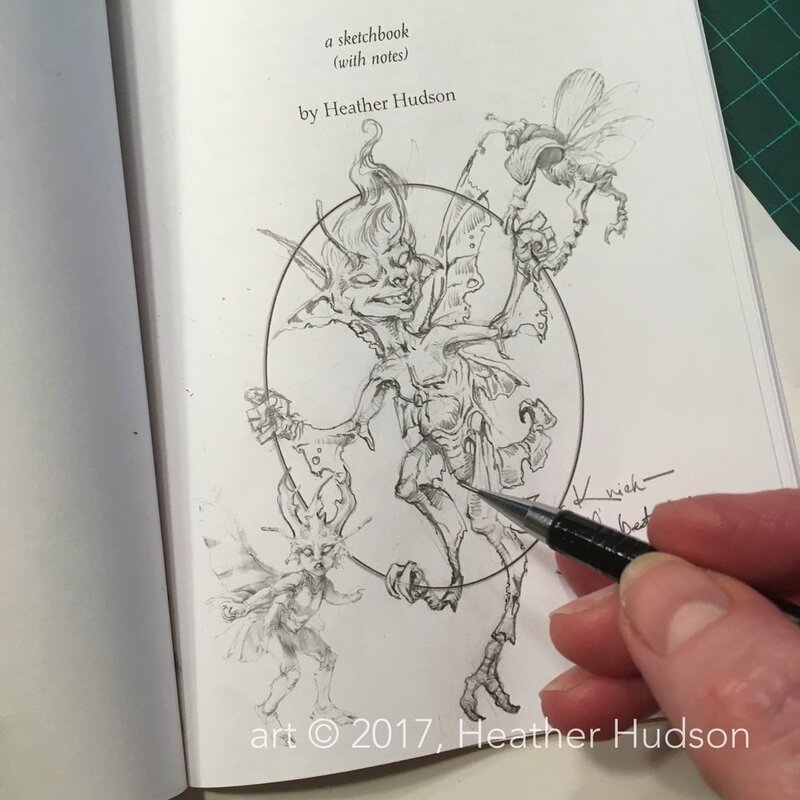 I've added new artwork to the Studio Wondercabinet online store - two fairies and two Month of Fear furies. I'll be adding more pieces soon. "Darkness" original artwork from my 2016 Month of Fear series is now available. It is not a fairy... Click on the art to buy, or contact me with questions! The Studio Wondercabinet store is currently hosted at SquareUp, the folks who make it possible for me to take credit card payments at conventions. (Yay!) Convenient tho it is in many ways, the Square Market store has its weaknesses, and one of them is that Square deals only with US or Canadian funds and ships only to destinations in the country of origin. (Boo!) This is not always helpful. Please contact me if you would like to purchase my work and are located outside the US, or wish to pay in non-US funds. We have alternatives! The same holds for orders of multiple items - if I can ship multiple items together in a convenient package, I'd be happy to revise shipping charges for the buyer!